This absolutely gorgeous Viennese style “coffee place” offers so much more than meets the eye! For starters they serve a lot more than just coffee. Café Einstein Stammhaus is actually a full blown restaurant “disguised” as a stunning old school coffee/dessert house. It was also here that the famous tense and iconic bar scene from Tarantino’s “Inglorious Basterds” took place. Whether you are a film buff or not, make sure you take the time to enjoy a meal here. Or at the very least, make a pitstop for coffee and cake. The old and elegant house is located in a somewhat nondescript area of Schöneberg. Do not be turned off by the uninteresting surroundings. 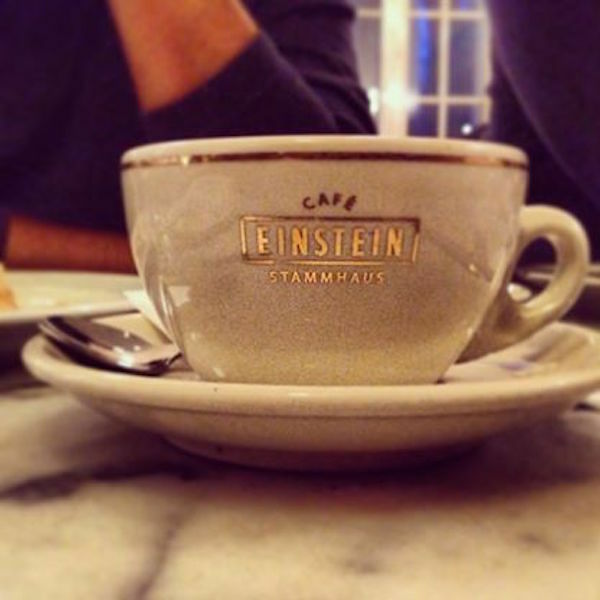 Although Café Einstein is most famous for its coffee (great) and Apfelstrudel (surprisingly nothing to speak about), we recommend you stop here for a full meal. 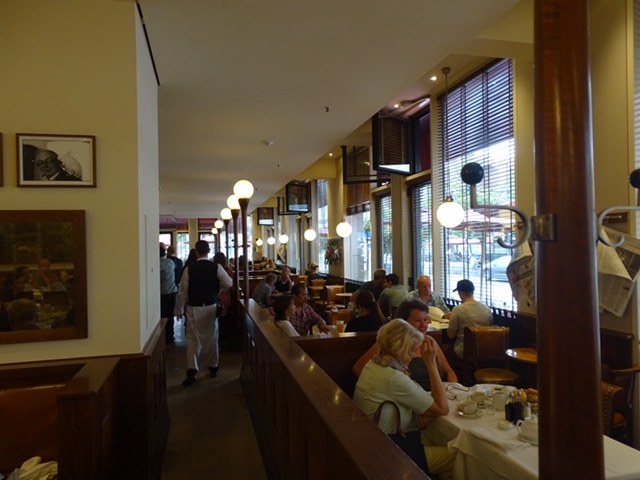 The Austrian/German style dishes are delicious and service is impeccable (at least that has been the case with us). Traditionally dressed waiters will make sure you get an above average experience. Of course, try and get here on “off” hours. You will get even better service and have a chance to enjoy the ambiance a little more. During the warmer months, make sure to have your coffee and dessert at the beautiful and quaint garden area. Reservations are recommended for brunch, lunch or dinner. 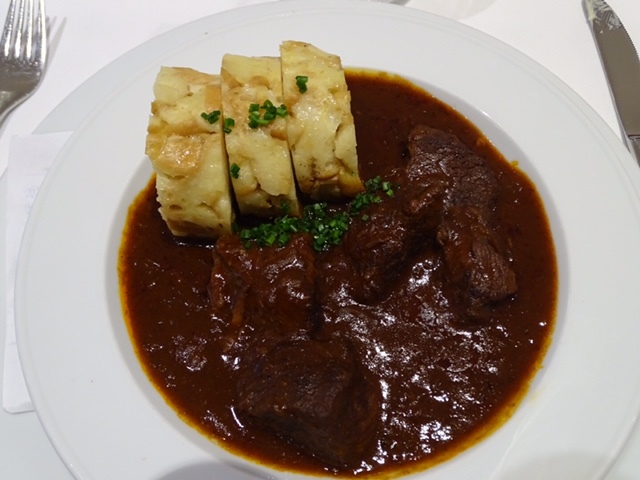 There is an outpost of Café Einstein along Unter den Linden and although the buidling and space do not have the same flair and character as the original, we have to say that dishes are pretty tasty. It makes for a great option if you are looking for a good meal or brunch around the tourist ridden Brandenburg Gate. TIP: If you come to here, check out their art gallery right beside the Café. It’s great!